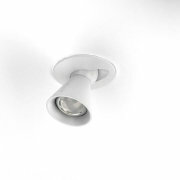 A skilful series of downlights with a unique dimple feature for sharp tilting. 360° adjustable. Tilts 35° all around, and up to 50° at the dimple point. Pioneering button-system lets you freely adjust and lock, without using tools, the beam tilt and dimple point. Choose large, medium or uniquely small fittings. Choose wide, medium or focused beams. 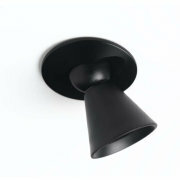 Ideal for illumination on walls, in niches and in showcases. 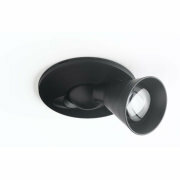 Nova: a whole new angle on downlights.